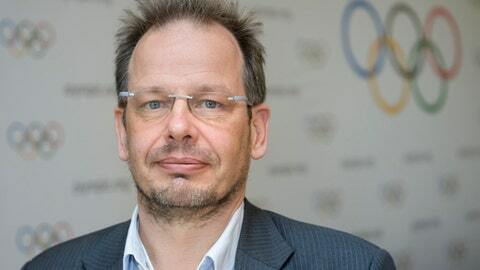 BERLIN (AP) German officials called on the global soccer federation FIFA to intervene Saturday after a journalist who exposed systematic doping in Russian athletics was denied entry to Russia to report on the upcoming World Cup. Seppelt works for German public broadcaster ARD. FIFA confirmed that it had already approved his accreditation request and was trying to obtain further information from Russian authorities about the case. ”Generally speaking, the freedom of the press is of paramount importance to FIFA, and we always aim to provide media representatives with the best possible conditions for coverage of all FIFA events,” the federation said in a statement. ARD said Seppelt’s visa was declared invalid Friday on the grounds that he was on a list of people who are ”persona non grata” in Russia. German opposition lawmaker Annalena Baerbock told German weekly Welt am Sonntag that the case should be a further reason for government ministers to stay away from the World Cup, which runs from June 14 to July 15. German Chancellor Angela Merkel is scheduled to meet with Russian President Vladimir Putin in Sochi, Russia, on Friday to discuss bilateral ties and international crises such as Syria and the nuclear agreement with Iran.